You are browsing the archive for Hazwany (Nany) Jamaluddin. The Sinar Project in Malaysia is exploring ways of making critical information public and accessible to Malaysian citizens. 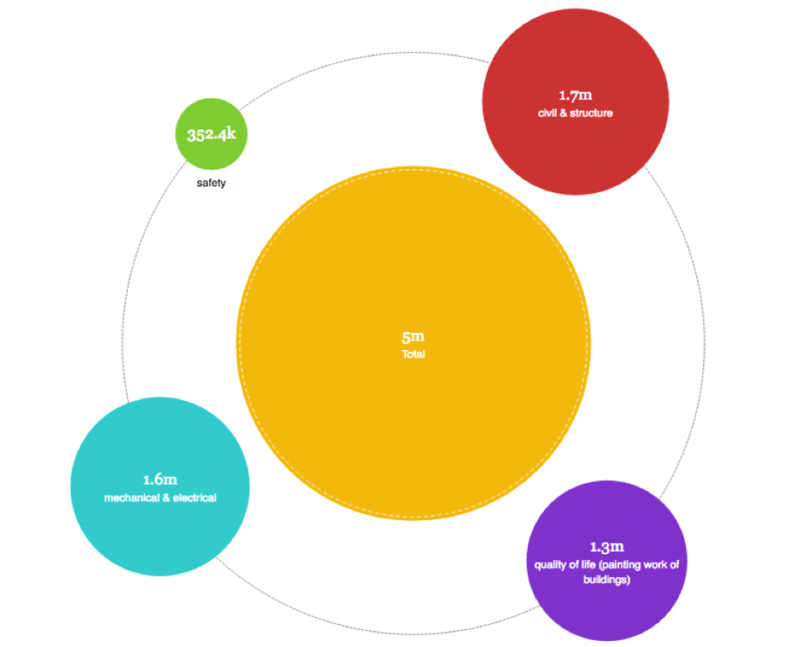 The project is supported by the Open Data for Development (OD4D) programme and has been run in collaboration with OpenSpending at Open Knowledge International. 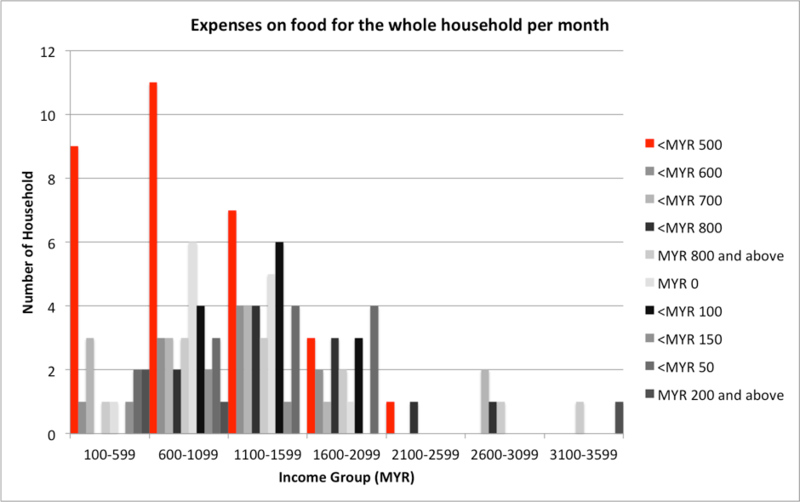 In our previous blog post, we provided an overview of the Sinar Project’s work opening budget data in Malaysia. In this second post, we would like to share what we learned through the urban poverty survey we conducted in Kota Damansara – a township located in Selangor. The survey was designed to collect information on the status and needs of citizens in this community. Our ability to understand these issues is severely limited by a lack of accurate, up-to-date data. This is further complicated by the fact that it is difficult to gather budget information to understand how public funds are flowing between different levels of government and how they are intended to be used. Currently, it is very hard for policy researchers, journalists and civil society organisations to determine how allocated budgets relate to official government policies and how that translates to the implementation of government programmes on the ground. One way to collect raw data on these issues is to run a social audit, a process of evaluating official records in order to determine whether reported expenditures match unofficial reports and surveys. The social audit process works in parallel to opening budget data and has proven effective at collecting the requisite information needed to begin to address the issues communities are facing. Our social audit was comprised of two components, an urban poverty survey and issue reports through AduanKu (a web application based on FixMyStreet). There are 18 floors in one public housing block and on each floor there are roughly 16 residential units. 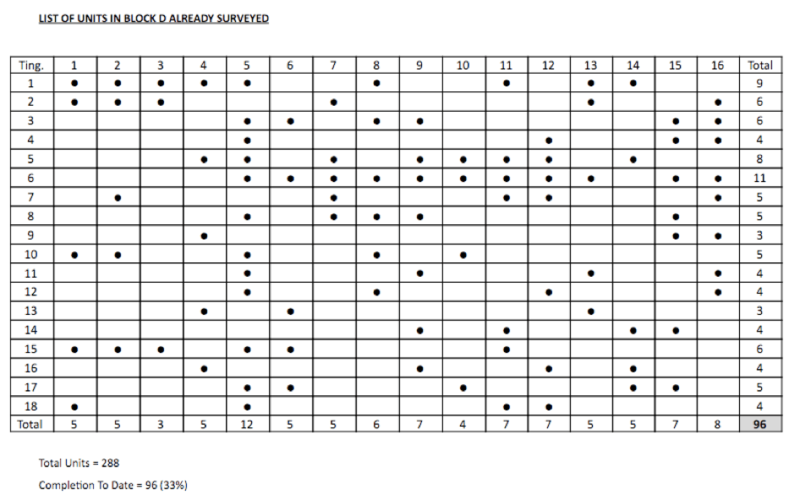 According to residents of Kota Damansara public housing, there are more than 1000 residential units in the four public house blocks, which, for the urban poverty survey, were referred to as blocks A, B, C, and D. We surveyed 415 households. The average household size was four. 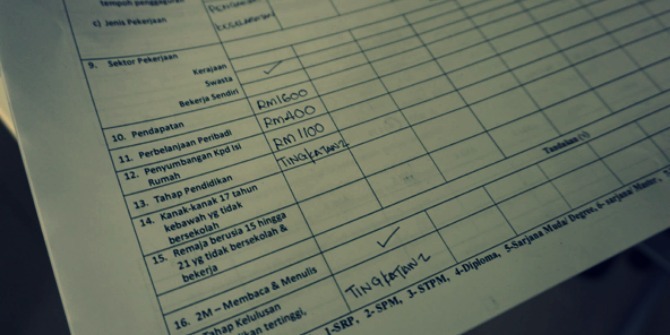 In order to document data from this survey, we created two forms: Household Form (in Malay) & Member Form (in Malay). Households were assigned an ID based on their address in order to easily match the data from the two forms. In addition to the urban poverty survey, we set up an online application to report, view and discuss local issues. AduanKu allows residents to report broken infrastructure in public housing of Kota Damansara. To date, there are 18 reports from the PPR Kota Damansara zone. Once an issue is reported online, it is manually submitted to the responsible agencies, for example, the state-owned agency Property and Housing Selangor Sdn Bhd. We are continuing to collect issue reports as at present, the 18 reports collected are not considered strong enough evidence of the systemic problems faced by the residents in the housing block. We were able to consult with the elected councillor for Zone 3 (PJU4 & PJU5) of Petaling Jaya, Shatiri Mansor, to roll AduanKu out to the whole of Zone 3. As a result of the roll out, 94 reports have been submitted online and these reports are under supervision of Zone 3 office. From 94 reports, 8 street problems have been fixed and this number continues to grow. 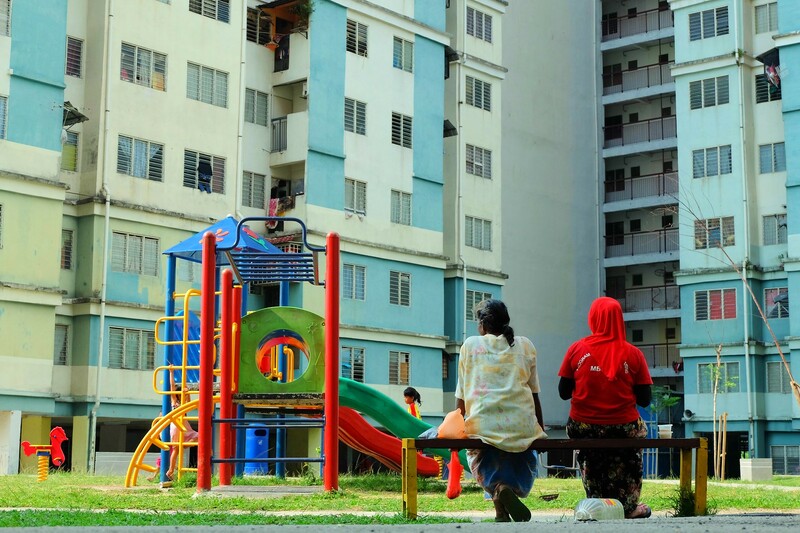 However, while the Kota Damansara public housing premise is within the Zone 3 boundary, the land belongs to the state-owned agency Selangor State Development Corporation. As such, the broken infrastructure on the public housing’s premise is not under the jurisdiction of Zone 3 office and is instead under the jurisdiction of the Property and Housing Selangor Sdn Bhd. On behalf of public housing communities, a memorandum was submitted to the Selangor State Chief Minister at the Freedom of Information forum hosted by Centre to Combat Corruption and Cronyism (C4) and to the Speaker of Selangor at the Selangor State Legislative Assembly. As a follow up from the memorandum, a meeting was organised on August 8th, 2016 by the Board of Property and Housing Selangor to bring together several stakeholders to discuss issues faced by the communities. The meeting gave us a forum to present concrete evidence to discuss how the budget allocated to the management company, Property and Housing Selangor Sdn Bhd (PHSSB), was being used. For example, PHSSB received MYR5 million to repair railings in all four blocks, according to 2014/2015 budgets for maintenance. However, through interviews with residents and inspection, it is not clear how these funds were used and what repairs were actually made. Many railings remain wobbly and unstable. Unfortunately, while we were able to raise these issues, authorities have maintained that we have not provided sufficient evidence to support claims raised by the communities.This demonstrates that we need to do more. This highlights that communities still remain at a disadvantage due to inadequacy of the system. Even as we continue to collect our own data, where official government statistics are lacking, there is a risk that this evidence will not be accepted or deemed adequate by authorities. Nevertheless, the experience also demonstrates the need for transparency and the importance of Freedom of Information. For example, a list of expenses incurred by PHSSB that was obtained via a freedom of information request points to a potential discrepancy that might indicate that PHSSB is overcharging for water. Further investigation is necessary but the ability to gain access to official documents helps us know where to look.